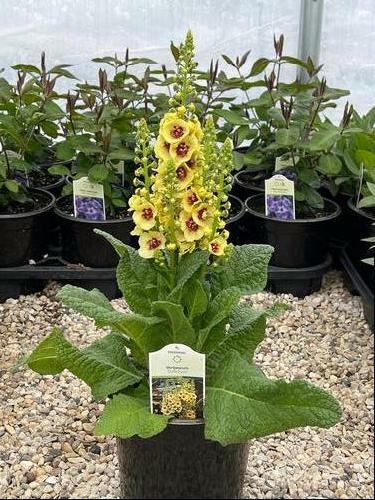 Dark Eyes has a compact growth habit with a rosette of large fuzzy gray leaves, cone shaped spikes of large creamy yellow flowers with large maroon centers in spring. 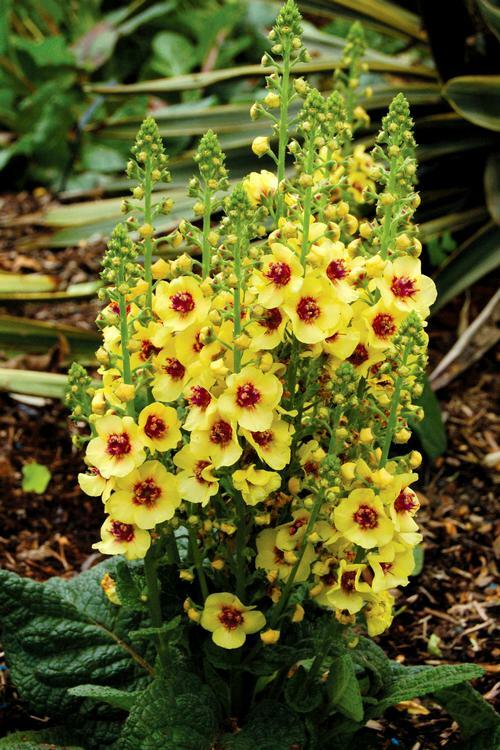 Attractive summer blooming plants for the sunny border. Plants need well-drained soil and are very heat tolerant.